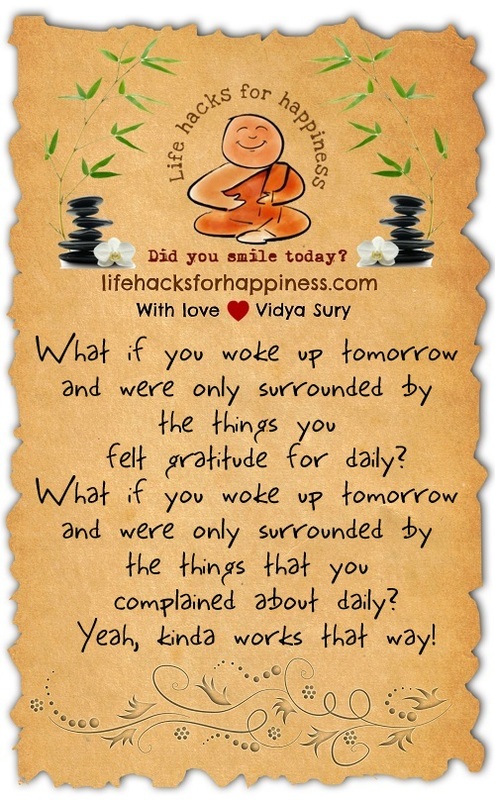 What if you woke up tomorrow and were only surrounded by the things you felt gratitude for daily? What if you woke up tomorrow and were only surrounded by the things that you complained about daily? Yeah, kinda works that way!